Well suited for workgroups and departments in any industry, the DR-M160II scanner provides the basis for efficient records management and helps reduce paperwork. It delivers capture capabilities that make it an ideal addition to your tax office. The strength of the DR-M160II scanner is seen in its throughput, capacity and overall performance. Scanning up to 60 pages per minute* - both sides in a single pass - and holding up to 60 sheets in the ADF, it quickly captures and converts paperbased documents into usable, digital information. Automatic document feed - up to 60 sheets. Scans up to 60 pages per minute in B&W, grayscale, and color - both sides of an item in a single pass. Handles a variety of document types including long or oversized to thin and plastic cards. Document size: 2.0" - 8.5" width and 2.1" - 14.0" length. 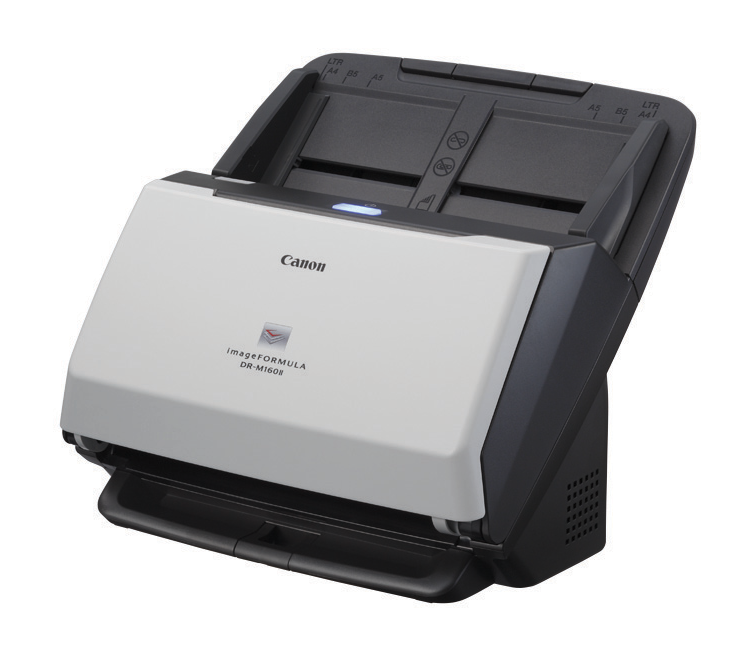 Scanner Size: 9.09"H x 11.2"W x 9.76"D with trays closed - 7.05 lbs.